This is a short guide on how to get makeables. Before creating makeables, you have to find out which one you want. 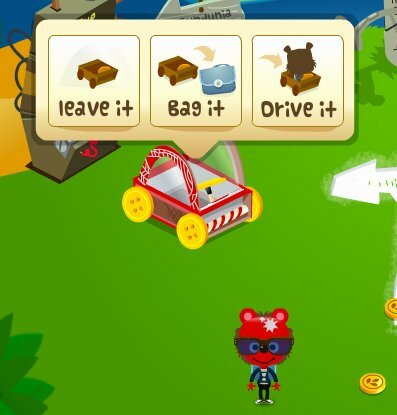 Transport Item – (a boat, a car, anything made out of metal), you have to go Junkatolli to find the Mechanical Shop. Furniture Item – (a bed, a mailbox, a soda, anything made out of wood), you have to go to Tinkertown to find the Furniture Shop. Remember, you need junk and Trinkets – CLICK HERE to get the items you need to make makeables. 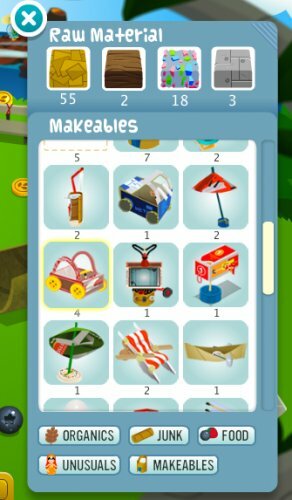 You can use these makeables as Tinkapad decoration or drive them. 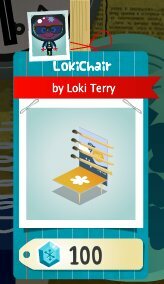 You’ll see the junk and Trinkets needed to make that item, as seen below for the “LokiChair”. The green ‘✓’ means that you have enough junk to make the item. 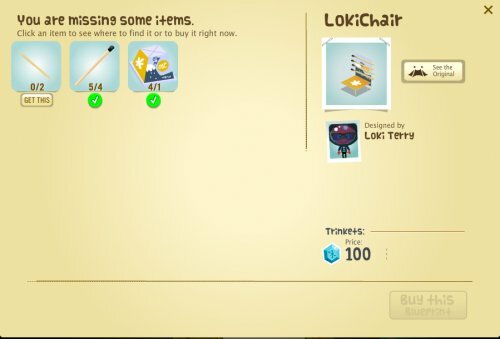 If you are missing items, you can see where you can find it or buy the ones you are missing by clicking on it. It will tell you – the room, how hard or easy it is to find, how many seeds you need if you don’t want to buy it. It will also tell you the price of 10 Trinkets if you want to buy it. Click on ‘get this’ if you would like to buy it. Once that’s done, click and drag the items needed from your bag onto the stencil drawing of the makeable and then click on it to put it in your bag. You can now place this item in your Tinkapad for decoration. Click on the makeable you want to drive (you can only drive the car, truck or the geloons) and drag and click it to the ground. Click on ‘Drive it’ to be able to drive it. You can now drive your makeable by clicking and dragging your mouse around. If you need any more help, please leave a comment below! were can i find a egg carton? r they hidden in sundunia? Hey Joelle and Loki I can’t find the white balloon where do I find it ?? What about the popsicle sticks? I need help with those, I’m new to Tinkatolli. Kinda… XD. Hey I got the egg carton at the trader, just saying. i cant find anything but the knife for the boat PLEASE HELP!!! 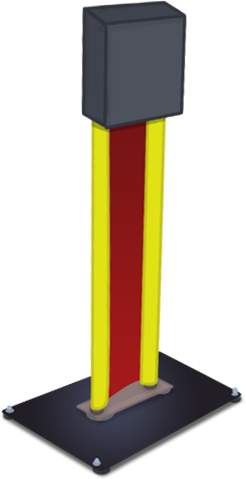 The message you got on Twitter is a free 2 week membership given by Tinkatolli themselves that can be redeemed on the membership page. The contest ran in May and you also get 300 trinkets with it. You can? how can you do that!?! Driving is level fifteen for the truck and car and twenty for driving the red Geloon. I think that’s right from what I remember. Hi, I’m trying to build the beta balloon and need the “peggy hole” (the clip) and I don’t have chat. Do you think we could trade? I have a yeti snowglobe that I would gladly trade! 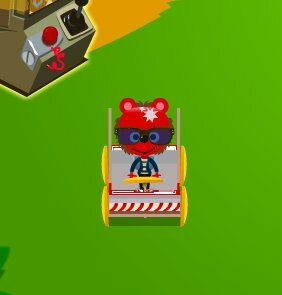 Have you got a response yet from support@tinkatolli.com ? 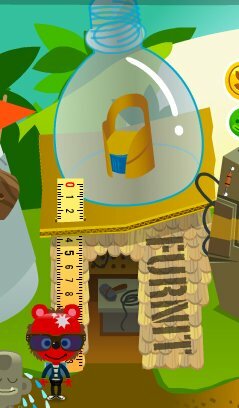 no,you can decorate it in your house even if you’re not a member..
Link (https://www.tinkatolli.me/news/twitter_may_2012/) does not work anymore! Very interesting to read about past contests! In general, all very interesting! I’m sorry I did not know about Tinkatolli a year ago! 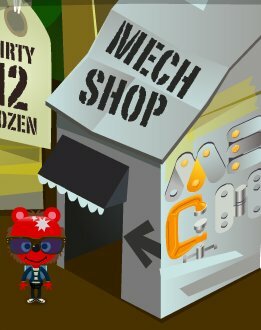 This link(http://www.cheatswhiz.com/tinkatolli/tinkatolli-quests/the-quest-for-the-cavern-crystallevel-2/)does not work!! Page not found! 🙁 I wish I could play the old Tinkatolli to leveling! if we leave our makeables is it can be take by other tinka / missing? ?